Masjid al-Harām is also known as Great Mosque of Makkah, or sometimes the Sacred Mosque. 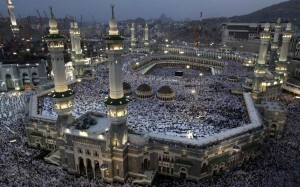 It is the holiest place of Muslims in the world and is located in Makkah city of Saudi Arabia. The Masjid al-Haram surrounds the Holy Kaaba which is also the direction that Muslims face while they perform their daily prayers. The structure of this grand mosque covers a land of 356,800 square metres (88.2 acres) which includes the indoor as well as outdoor praying areas. The mosque accommodates more than two million worshippers during the Hajj each year. This mosque is the second largest in the world and is also known as the Prophet’s Mosque. The foundation stone of this mega mosque was laid by the prophet of Islam Muhammad (PBUH) who took part in its construction too. It was also the second mosque built in Islamic history. 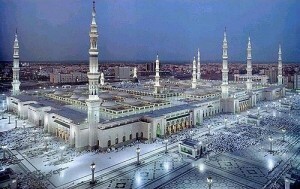 The Prophet’s Mosque is known as the second holiest site of Islam. The usual capacity of this grand mosque is six hundred thousand worshippers which is extended to one million worshippers during the time of Hajj each year. It has ten minarets and each minaret is 105 meters high. The Grand Jamia Mosque located in the cultural heart of Lahore, Pakistan is one of the largest mosques in the world. The construction of this amazing mosque completed in the year 2014 and was designed by Nayyar Ali Dada & Associates. The mosque has a capacity to accommodate twenty five thousand worshippers indoors and seventy thousand people in the courtyard and the corridor. 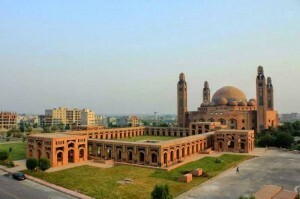 The Grand Jamia Mosque is influenced by the Pakistan’s largest mosque ‘Badshahi Mosque’ and is a great display of mastery by leading interior designers and architects in Pakistan. The mosque is led by Pakistani billionaire Malik Riaz and its construction has cost above forty million US Dollars. The Sheikh Zayed Mosque is located in Abu Dhabi, the capital of United Arab Emirates. The foundation of this amazing mosque was laid by late president of UAE, his highness Sheikh Zayed bin Sultan Al Nahyan. The mosque displays the historical and modern values of architecture and art. It has the capacity to accommodate more than forty thousand worshippers. 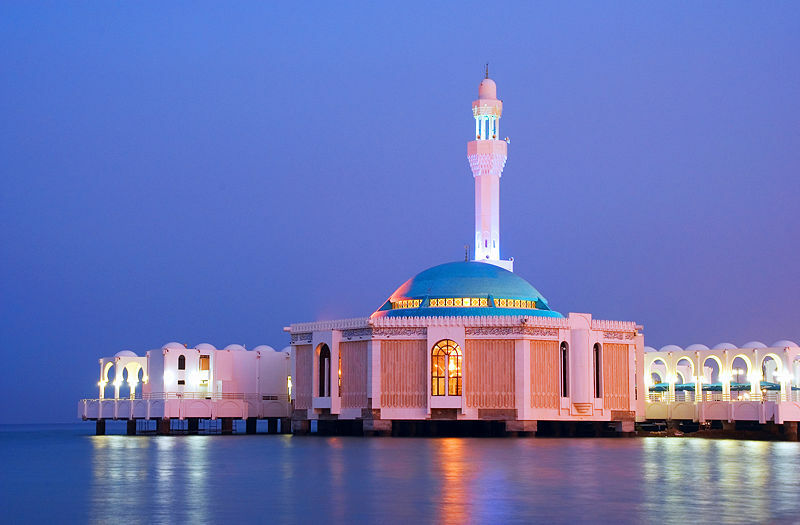 This wonderful mosque has four minarets each of them as high as 107 meters. The construction of this mosque has cost five hundred and forty five US Dollars and was completed in 2007.